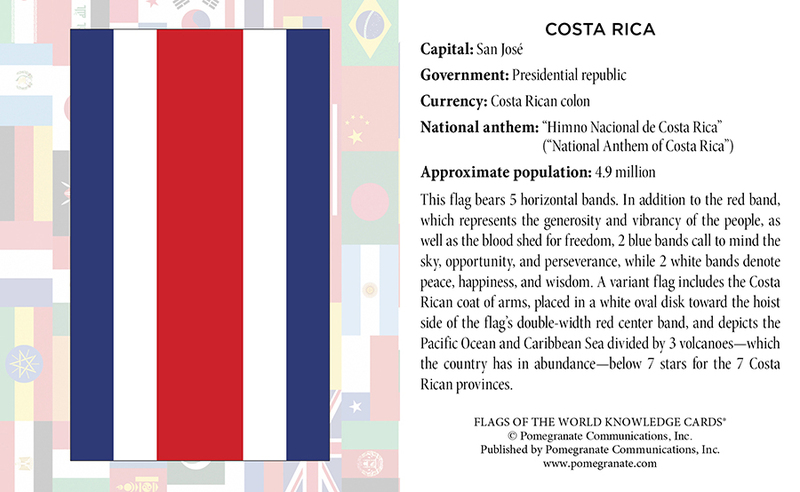 Which national flag includes an image of a vicuña (cousin to the llama)? Which displays a blue chakra wheel? The Eagle of Saladin? 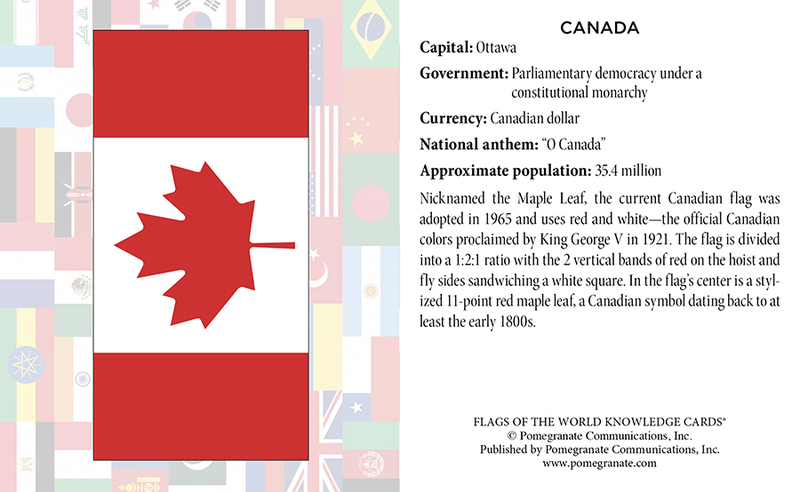 Featuring flags from 6 continents (sorry, Antarctica! 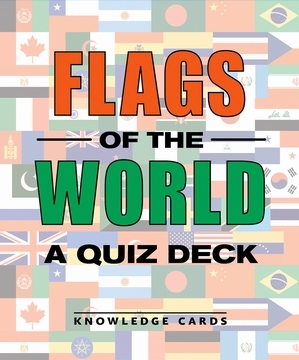 ), the 48 cards in this quiz deck provide individual flag images on the card fronts and profile the countries they fly over on the backs. 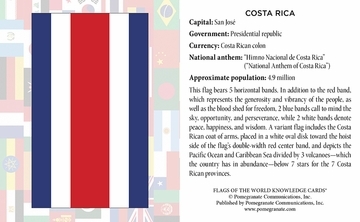 Each card gives information about the history and symbolism behind the colors, coats of arms, and other national emblems (yes, even the vicuña). 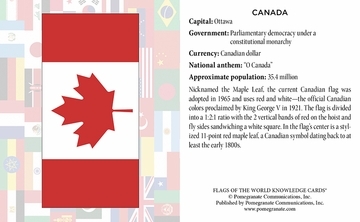 You’ll find loads of other facts such as each nation’s capital city, system of government, currency, national anthem, and approximate population. 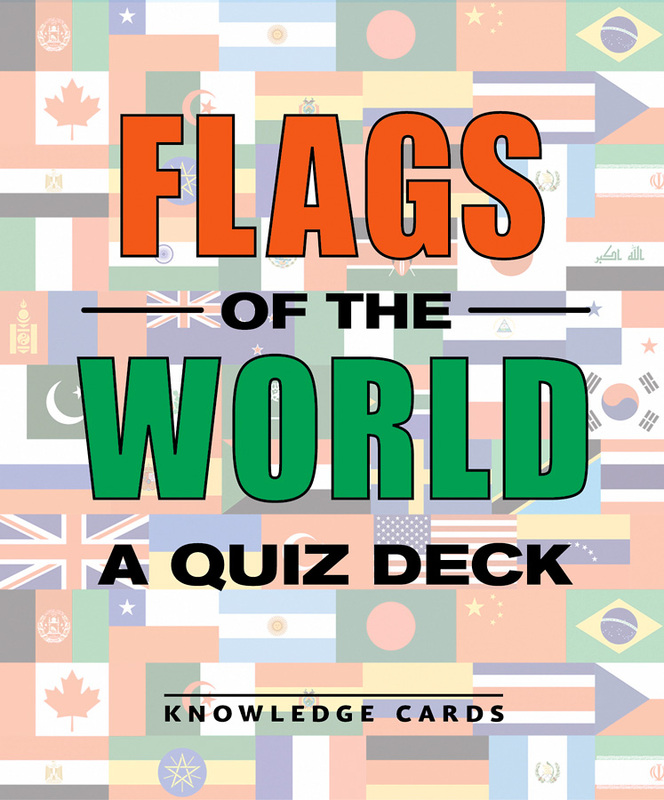 Perfect for independent learning or as a multiplayer game among friends, this deck of Knowledge Cards will spark your interest in vexillology—the study of flags.